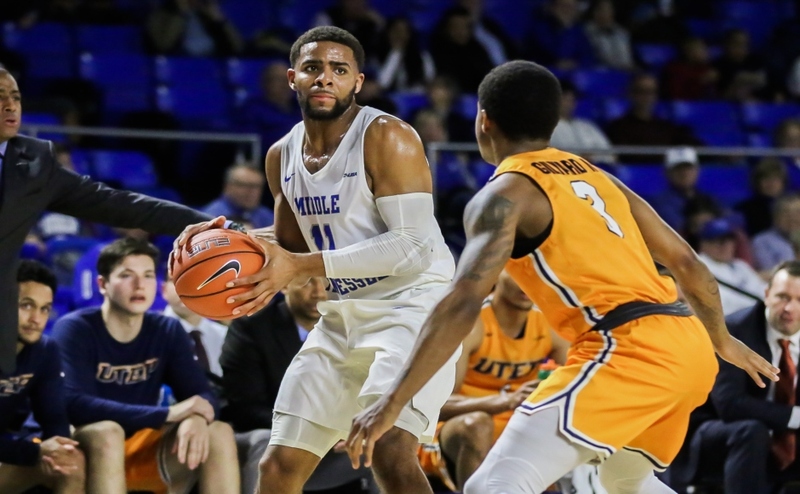 The Middle Tennessee State Blue Raiders (19-5, 11-1) played host to the University of Rice Owls (5-19, 2-9) Thursday night. 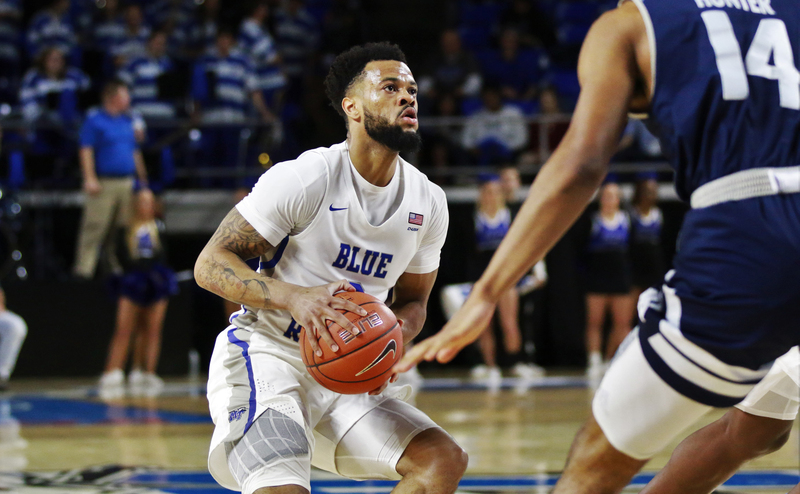 Both teams got out to a fast start, but the Blue Raiders pulled away in the second half and grabbed a 94-75 win. Brandon Walters and Nick King got the offense going early with six quick points, but Rice held a 10-9 lead with 16:24 remaining in the first half. Even when Middle Tennessee finally got some shots to go down, the Owls still held a 23-21 advantage with 11:07 left in the first frame. After a King knocked down a free-throw line jumper, MT reclaimed the lead at 26-25. 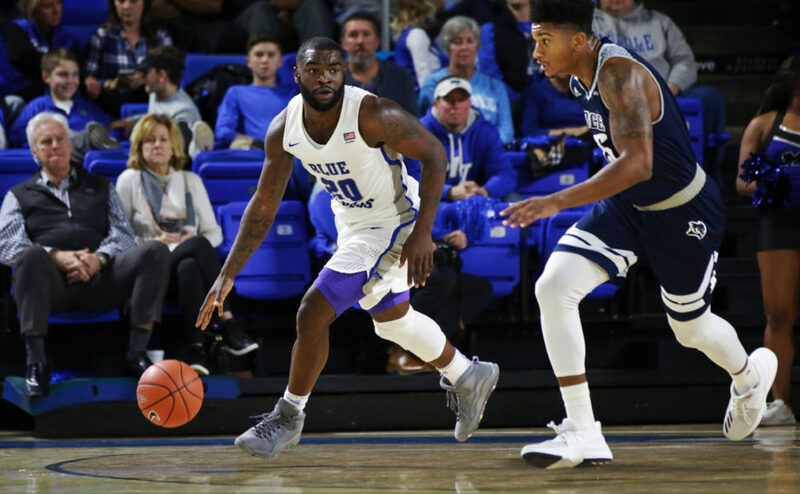 Moments later after receiving a behind-the-back pass from Antwain Johnson, King finished a layup through the contact and MTSU found themselves in the lead for the rest of the game from that point on. 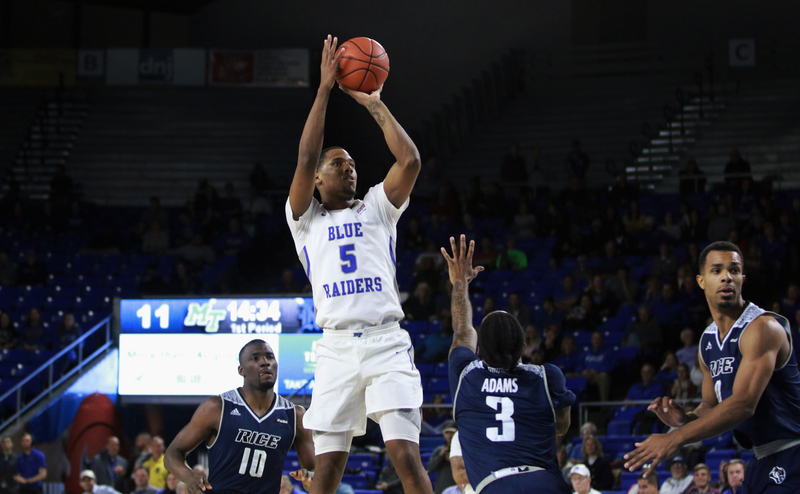 In the waning minutes of the first half, Johnson knocked down a three-pointer to give the Blue Raiders a 45-33 lead and that was the closest it would get for Rice. 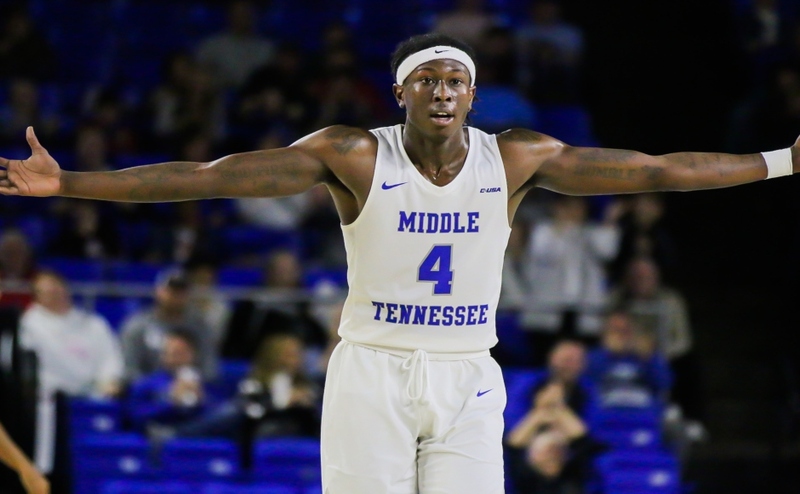 Middle Tennessee closed the half by holding the Owls without any good looks on offense, and took a 50-33 lead into the halftime. 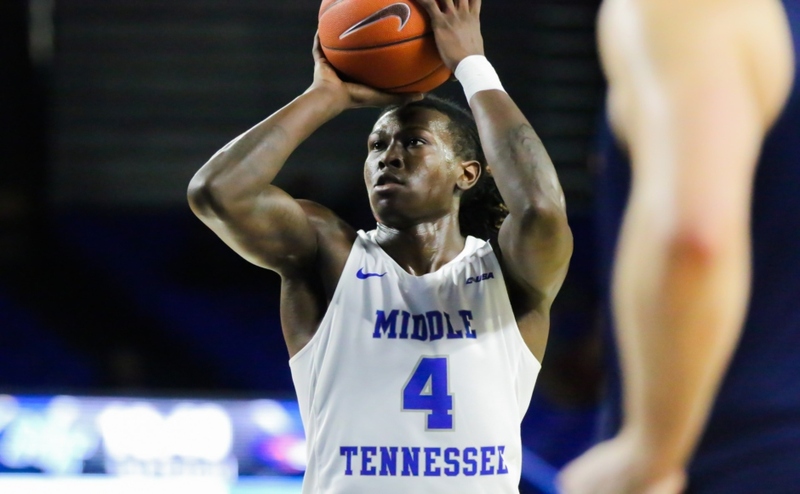 MTSU hit seven threes in the first half, and 10 different Blue Raiders scored. King and Johnson carried the offensive load in the first, as Johnson scored 12 points and King added 13 of his own. Since Johnson has been inserted into the starting lineup, his offensive output has grown and the team is undefeated in seven games. Once the second half began, one thing was certain: it was the Giddy Potts show. Potts knocked down back-to-back three-pointers to put MT up by 23 points only one minute into the half. 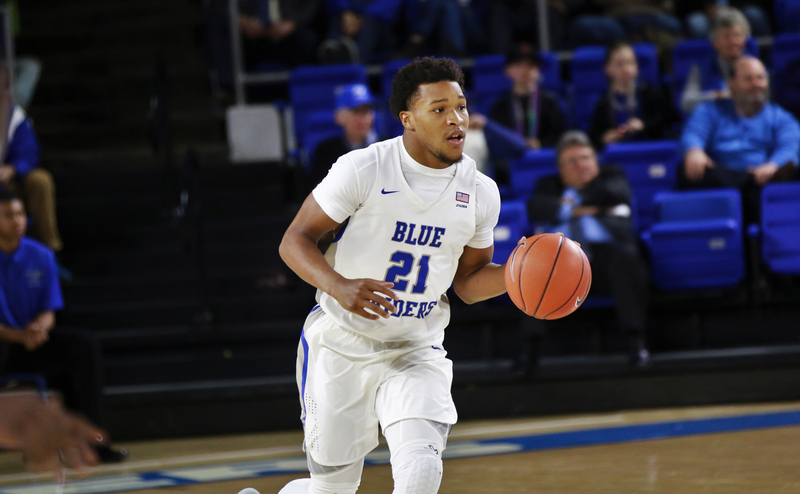 Potts made three more three-pointers to help push the lead over 20 for the Blue Raiders. 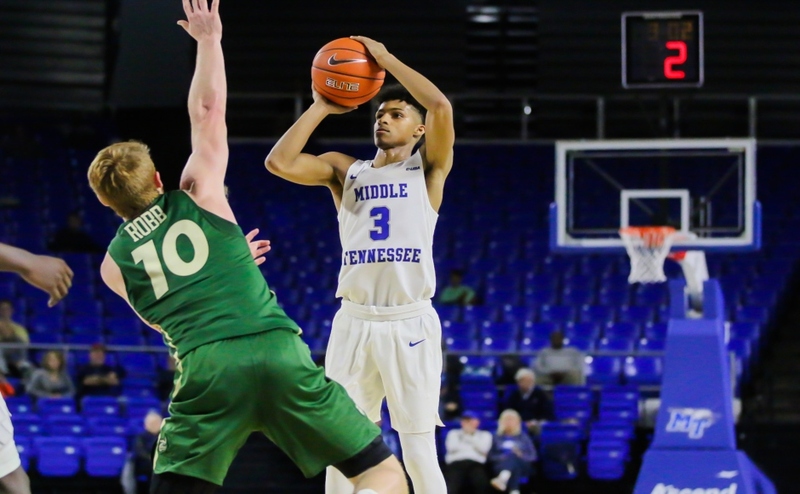 With the Owls on the ropes, sophomore Tyrik Dixon lobbed a pass to Johnson for a big dunk to run the MTSU advantage to 80-54. 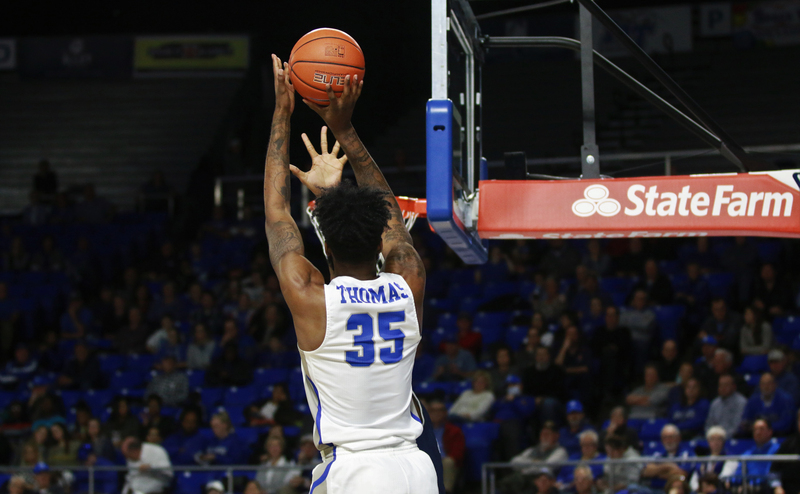 When the final horn sound, the Blue Raiders defeated the Owls by a final score of 94-75 to improve their record to 19-5 and 11-1 in C-USA. With 1:32 to go in the game, walk-on fan favorite Chase Miller was called off the bench to enter the game. Searching for his first collegiate points, Miller knocked down a three-pointer to send the crowd into a frenzy. Davis knows that this moment has been a long-time coming for Miller, as he works hard in practice despite the lack of playing time. 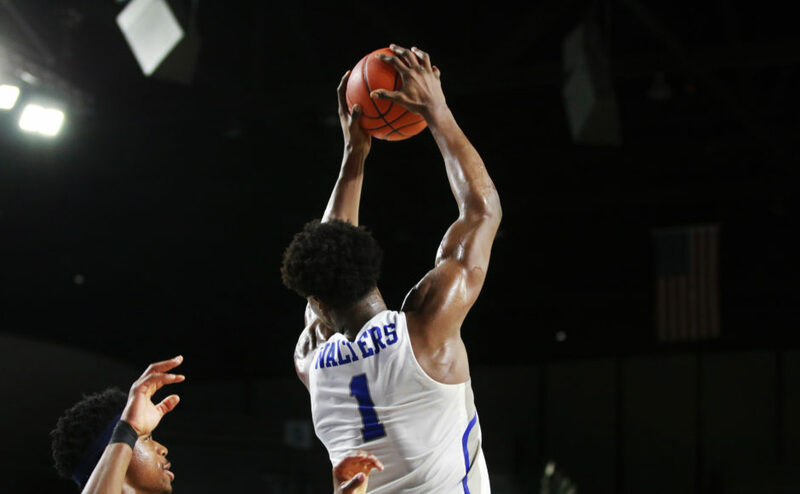 Miller had a feeling when Davis called his number that it was finally time to knock down a shot. Potts had a huge second half for the home team, as he knocked down five of his six threes and scored 19 of his 22 points in the half. In this game, Potts surpassed the 1,500 point mark and added another accolade to his impressive college career. 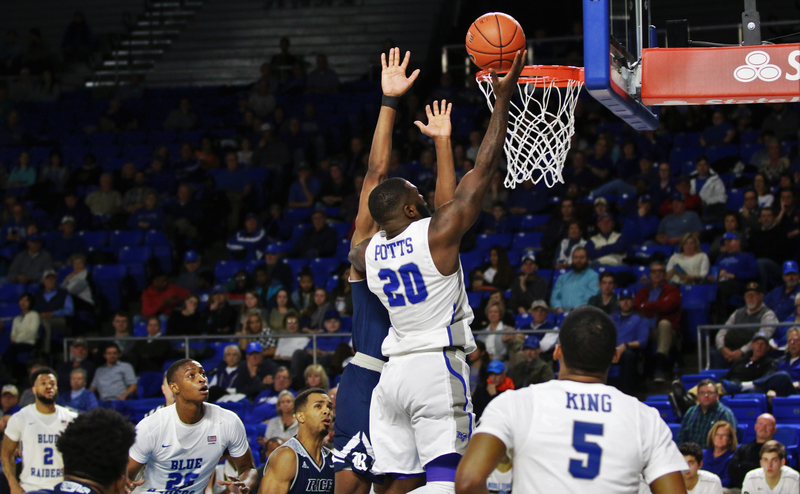 Davis was glad to see Potts finally get going, and he knows that the senior is going to have a big hand in where the Blue Raiders finish the year. “We have a great feeling that Giddy is going to have a great ending of our season,” Davis said. 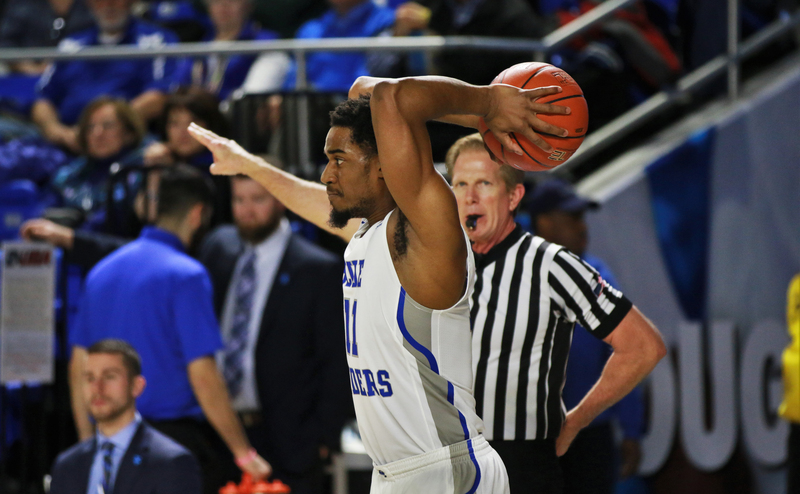 The Blue Raiders are back in the Murphy Center on Saturday at 5 p.m. against the North Texas Mean Green. Follow MTSU Sports Reporter Logan Ward on Twitter at @lward98_ward.